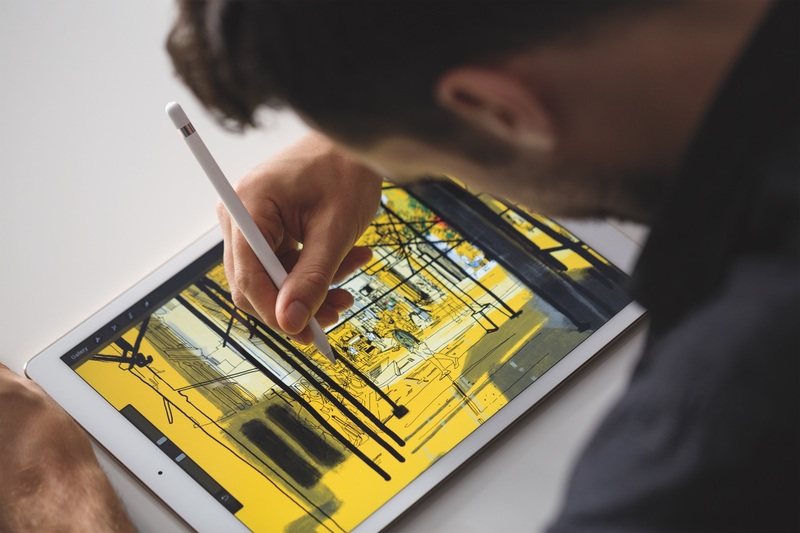 Well-connected and highly respected KGI Securities analyst Ming Chi-Kuo has issued an investor note predicting sales for the 12.9-inch iPad Pro. According to reports from 9to5Mac, the note suggests that Apple will sell between 2.4 and 2.6 million iPad Pro devices in the fourth quarter of 2015. 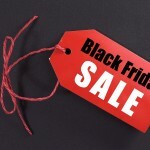 Of course, the fourth quarter is the prime holiday shopping season in many countries, and both the analysts and Apple are accustomed to sales figures rising sharply during that period. For the first quarter of 2016, Kuo expects the sales figures for the tablet to drop slightly to between 2.1 and 2.3 million units. Another interesting tidbit from the investor note is that TSMC is the sole provider of the new A9x chip that is the brains behind the iPad Pro. As we reported, there was some controversy after the iPhone 6s launch about the TSMC A9 chip slightly outperforming Samsung’s version of the same component. It’s interesting that Apple chose to go solely with TSMC for the A9x, even if the battery life controversy had nothing to do with Cupertino’s decision. Finally, Kuo commented about the supply issues plaguing the Apple Pencil accessory. Apparently, production “isn’t going smoothly” because of the complex assembly process of the accessory. 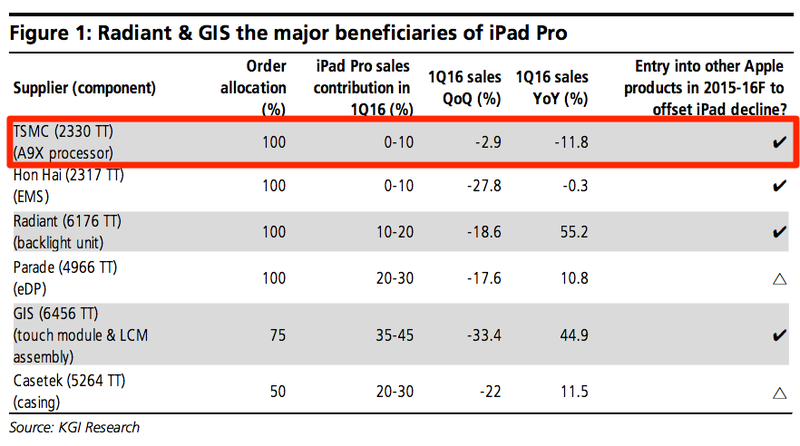 Kuo states the belief that these problems are detracting slightly from total iPad Pro sales. I would not hesitate to agree with Kuo on the Apple Pencil issue. 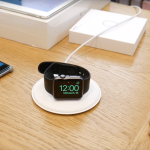 This accessory has been highly touted as a key component to the new iPad Pro experience, and not being able to get it along with the tablet has surely led some to hold off on their purchase. Apple should get the supply issues straightened out shortly, though, and I would expect sales to pick up a bit when the delivery time for the stylus is more reasonable.